All maple body and neck with a maple burl pickguard and walnut fret markers. French polish finish with super-blonde shellac. Chambered hard maple body with spalted maple top and back. 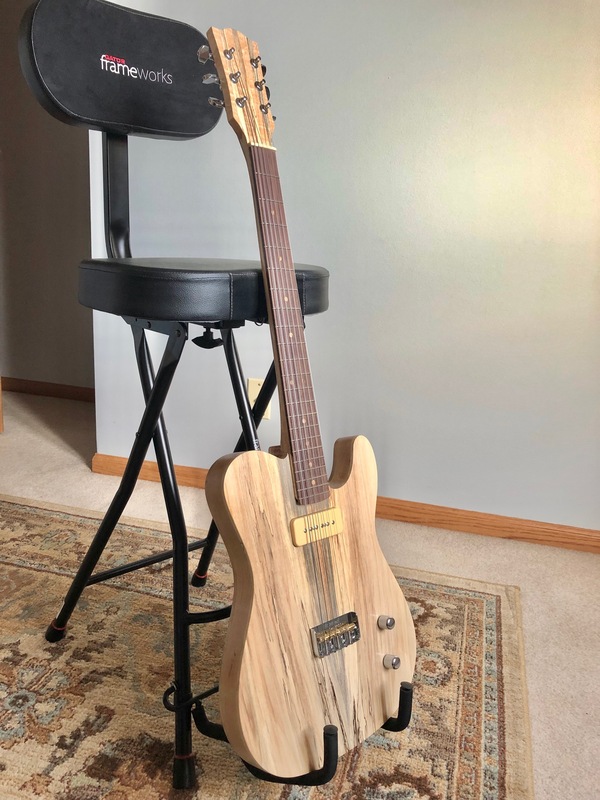 The neck is laminated hard and spalted maple. Fretboard is Indian rosewood with zebrawood fretmarkers. Single P90 from Lindy Fralin.